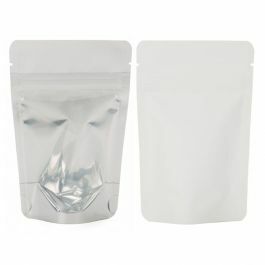 ZBGS1 is our smallest offering in our line of Silver Zipper Pouch Bags with a clear front panel. 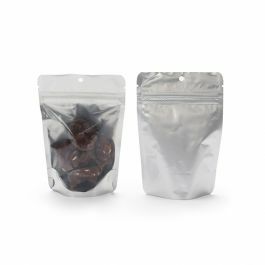 Ideal for single servings. 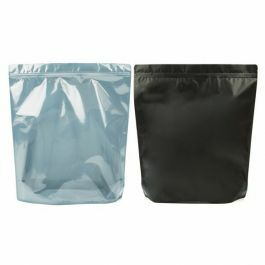 These pouches measure 3 1/8" x 2" x 5 1/8" with a usable space of 2 11/16" x 1 3/4" x 3 3/4," holding 1oz/28g. 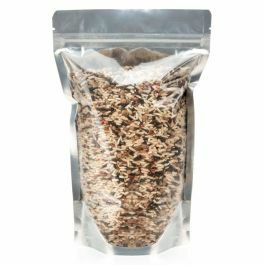 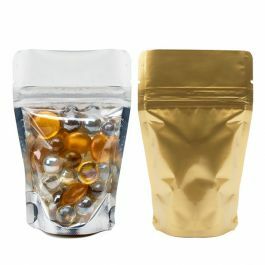 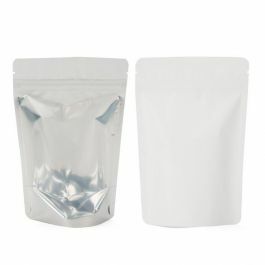 Fill these pouches with coffee, powdered mixed, vitamins, nuts, and more. 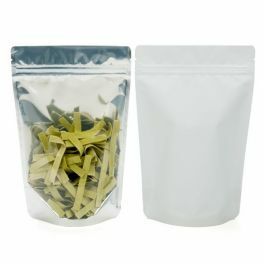 Features tear notches for easy access. 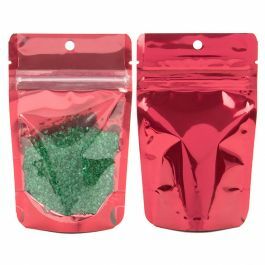 Now available with round hang holes. 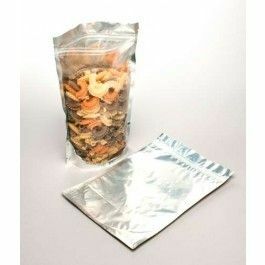 Some bags without hang holes may still be left to ship. 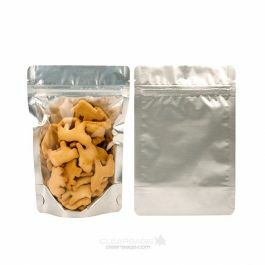 Please let us know if you prefer them with hang holes in your order comments. 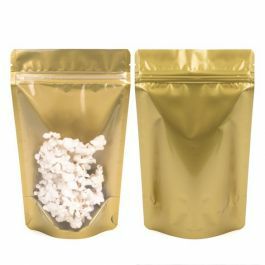 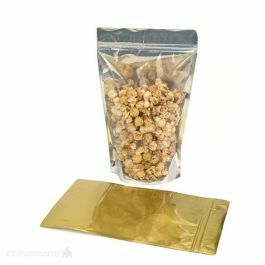 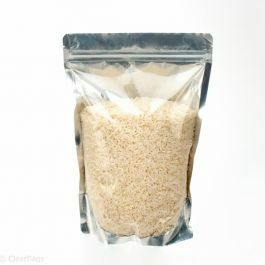 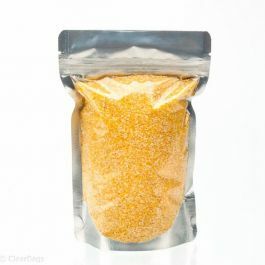 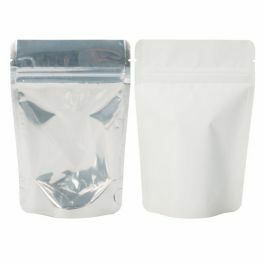 When you need single-serve packaging, our ZBGS1 Silver Zipper Pouch Bags are the perfect solution. 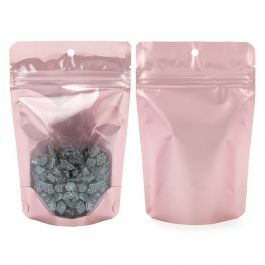 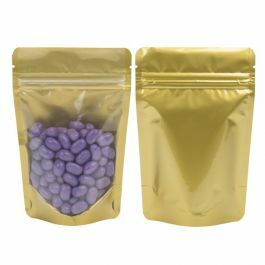 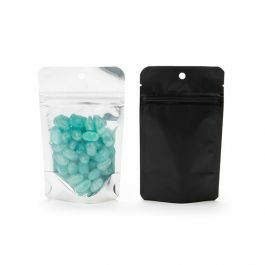 ZBGS1 pouches measure 3 1/8" x 2" x 5 1/8" and have inner dimensions 2 11/16" x 1 3/4" x 3 3/4", holding 1 ounce/28 grams of product. 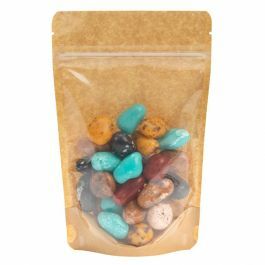 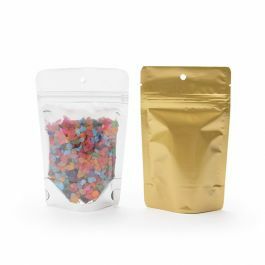 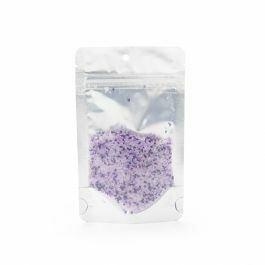 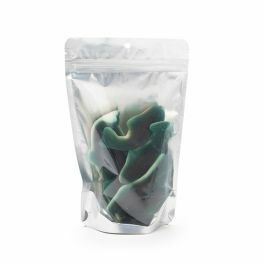 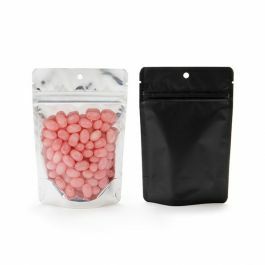 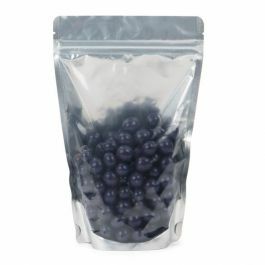 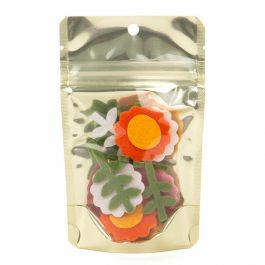 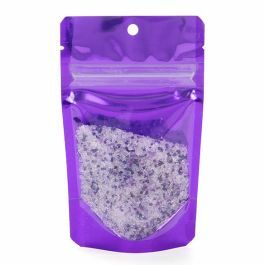 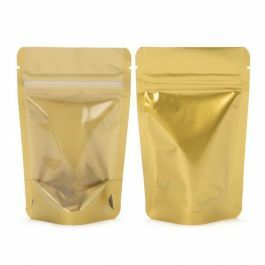 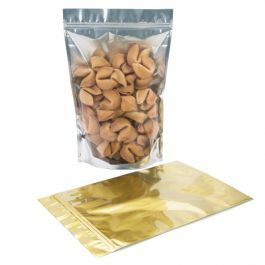 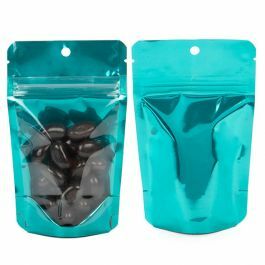 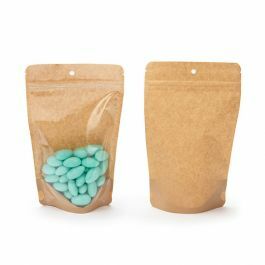 These user-friendly pouches work great for single-serve coffee, candy, vitamins, powdered mixes and make fun mini-size snack bags or sample packs. 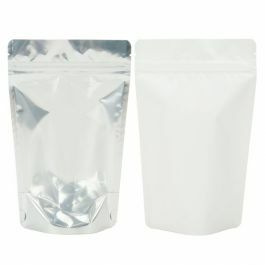 They are silver in color with a clear panel to show off your product. 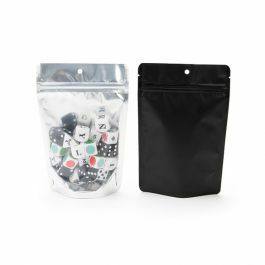 Features include easy tear notches, a resealable zipper, and a high protective barrier keeps odors and moisture in. 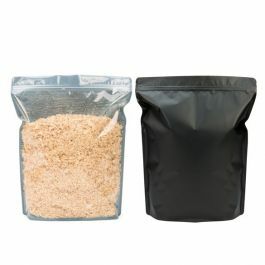 The material is 3.5 mil thick and laminated for extra added strength.